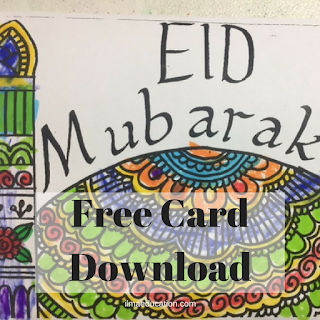 In collaboration with Muslimah Bloggers, I've made an Eid colour in card and put it on their website for you to download. 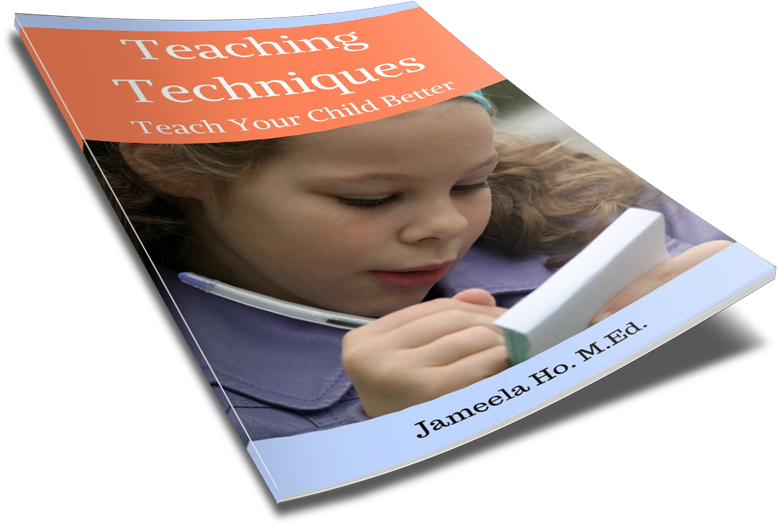 Link below. 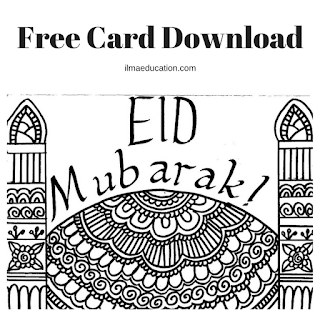 Before you hop on other there to download, have a look at some that my prekinders did. The thing with henna style designs is that it doesn't matter how the children colour it in, it'll still look great as long as it's colourful. 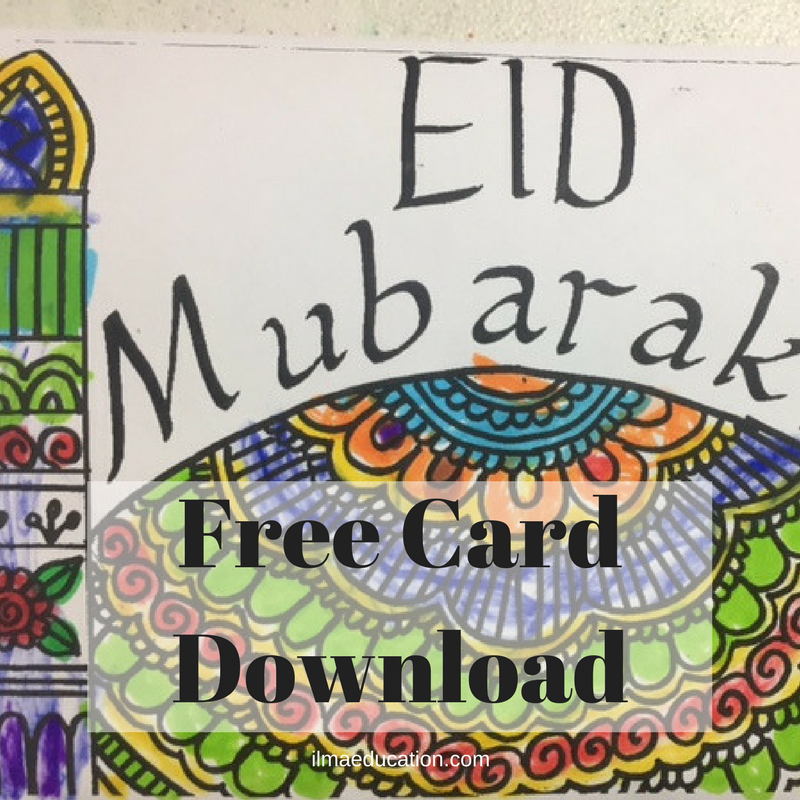 On the inside of the card, I had the children draw a picture and then write their names at the bottom. It fascinates me to look at children's drawings. The top one is at an early stage of drawing where the arms and legs are attached to head. The bottom drawing shows a more developed stage. Can you guess who the drawings are of? Well that's the artist's picture of herself and her sister but they're dressed in character. A pretty good representation I reckon. 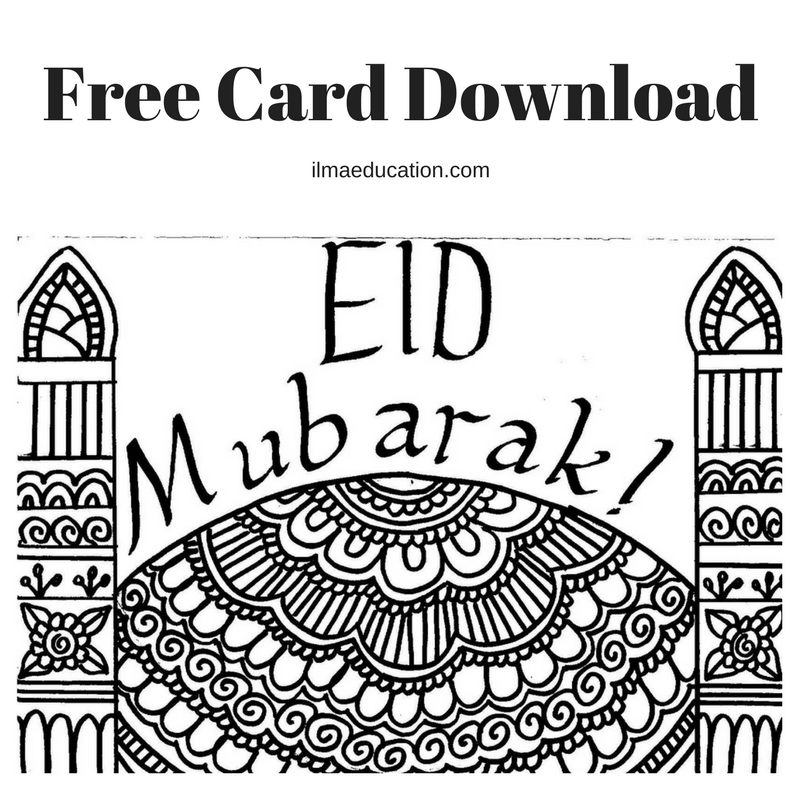 Download the free Eid card here.